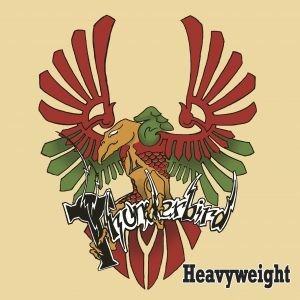 Thunderbird – Heavyweight – Album Review | The Ark of Music – The best music in the world…you never knew existed. Marc LaFrance (vocals) — Tours with Bachman & Turner and has sung on albums by Motley Crue, David Lee Roth, The Cult, and many more. Rod Coogan — (guitar) Has played in progressive rock bands in Australia & Japan. Kelly Stodola — (drums) One of Vancouver’s in-demand session musicians. Following the success of the band’s first album, 2006’s What’s the Word, life got the better of the boys, and they went their separate ways, scattering across the globe to Canada, Australia, the UK, and Costa Rica. Though, when the music came calling again, even that distance was not enough to keep them apart for good. 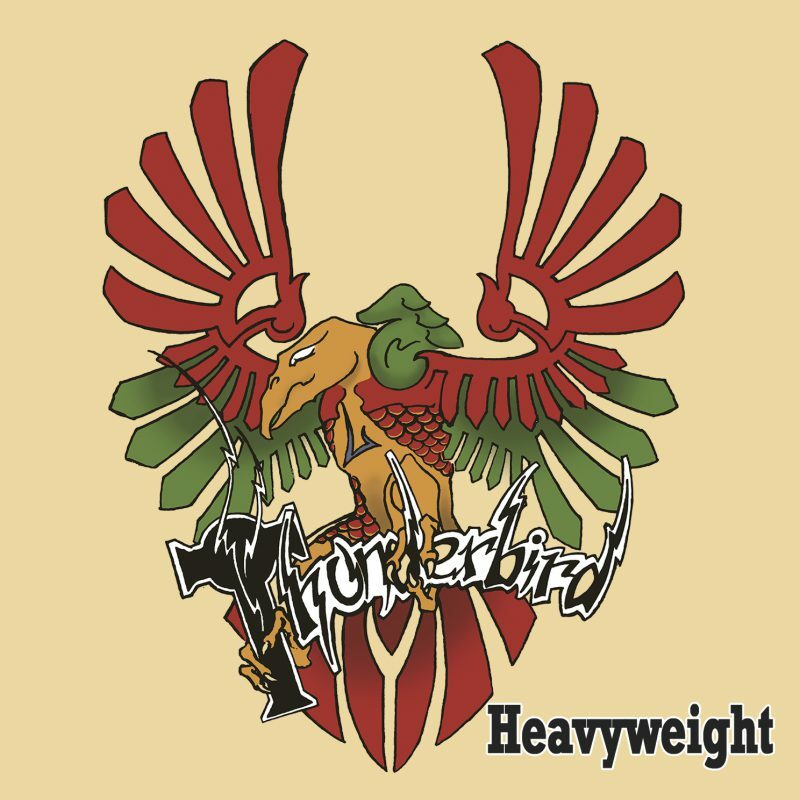 Now, ten years later, reunited with a purpose, the boys of Thunderbird dug in their heels and put in the work in order to release a 16-track, flat-out monster of an album…the appropriately named, Heavyweight. “Do you regret the choices that you made? Beyond a shadow of a doubt – look out! The fourth and album title track, Heavy Weight—a song of triumph and redemption—offers an impressive array of dynamic transitions between its ambient verse, and its explosive (borderline metal-tempo) chorus. The musicianship here shows mastery, as each band member seems to drift, ebb and flow at their own tempo and in their own reality, yet remain on point together. This is a really, really good song. The Set-Up immediately reminded me of Megadeth’s Symphony of Destruction. Near the midpoint, there’s a great slow-down/interlude that gives the song tons of personality. The track details the life of a wayward youth whose bad luck got the better of him. I would love to know who the song was written about. Leave It Alone hits hard and shuts it down quick. Only two-and-a-half minutes long, it left me wanting more. 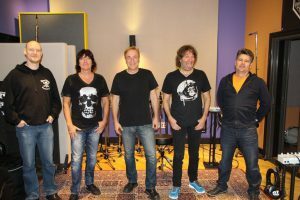 Steve Mulry guest-stars at vocals in On The Prowl, which brings classic rock-musician showmanship and 80’s style lyrics. Seriously, it’s like Warrant meets ZZ Top on this thing! Go, a three minute and forty-seven second instrumental of rip-roaring, Van Halen-esque guitar. Quite honestly, the song feels like a bank robbery on steroids. It belongs on your workout playlist. 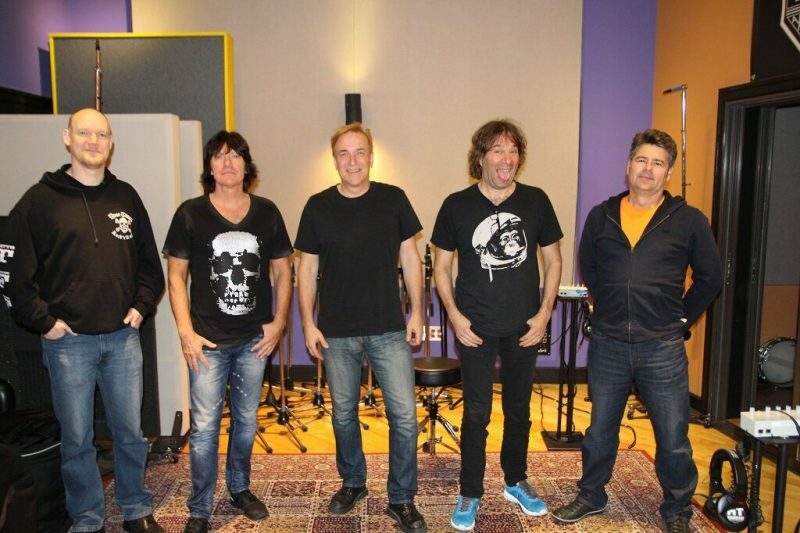 As I was taking in Heavyweight for perhaps the fourth time, I couldn’t help but think of how much work and dedication the project must have taken in order to corral the five band members and three guest performers—who were spread across the globe—and keep them together long enough to record sixteen songs! It is an impressive feat, to say the least, and the effort comes off in the music. It’s very clear that these guys are pros. The music is not only technically sharp, it’s also adventurously creative and daring. Yes, daring. Disagree? If so, I would challenge you to try to record a 16 track album of 80’s hairband style tunes which are good enough to be relevant in today’s music scene. Understand? Thunderbird did it, and they deserve your respect. Clearly, there are countless elemental reminders of—and nods toward—many legends on this album (i.e., ZZ Top, Van Halen, Motley Crue, etc.). But what I’m hearing over and over, is the blending of Skid Row & AC/DC. Yeah…it’s just good stuff. Below, you can listen to Thunderbird’s album, Heavyweight, connect with their social media platforms, and find their contact information. Please support Thunderbird by visiting them online, and playing, downloading, and/or purchasing their music. And, as always, thank you for supporting real music!